Whoops! The offenders were caught after they fled to the wrong CTA station. Don't ya just hate it when inexperienced robbers run to a Brown Line station in search of a Red Line train? 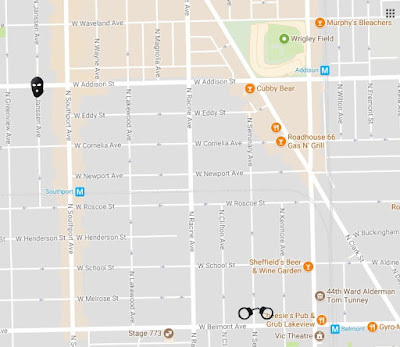 Two boys who aren't too familiar with Chicago's easy-as-pie train system are facing robbery charges after beating and robbing a woman in Lakeview Monday night, police said. The 26-year-old victim had just left work at a popular Southport venue when the two offenders beat her up and stole her purse near Addison and Janssen at 11 p.m. Both offenders made a crucial mistake in their escape: They ran to the Brown Line station at Southport when they desperately needed a Red Line train. A CTA worker remembered the boys and sent police scurrying toward nearby Red Line stations at Addison and Belmont. Officers caught up with the duo near Seminary and Belmont, about a block from the Belmont stop. The victim’s property was later found at the Southport station, police said. No further information is expected to be released about the case because both offenders are juveniles.